Financial Technology firm ipushpull is pleased to announce that Damian Sutcliffe has joined its team of advisors with immediate effect. After serving more than 20 years at Goldman Sachs, Damian has retired from the leading US investment bank and joins ipushpull as an adviser. 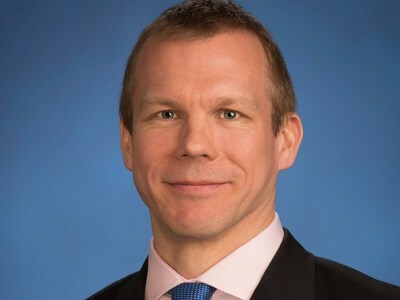 Damian joined Goldman in 1994, was made partner in 2012 and was the EMEA CIO, Head of Regulatory Architecture and Global Head of Enterprise Data before retiring. Over the course of his career, Damian held a range of senior management roles inLondon, Tokyo & New York delivering large-scale digital and data transformation initiatives. ipushpull has significant interest from global investment banks in using the company’s secure access-controlled patent-pending technology that allows real-time data sharing and collaboration. By connecting into cloud services such as Symphony and desktop applications such as Microsoft Excel, databases and APIs, ipushpull improves productivity across front to back office by reducing the need for unnecessary emails and file sharing. Damian will advise ipushpull around enterprise architecture and developing and scaling technology solutions. Matthew Cheung, CEO of ipushpull, commented: “Damian‘s experience and expert knowledge of financial markets enterprise technology is invaluable to ipushpull. Not only can we gain a unique perspective into the investment banks thatipushpull is selling services into, but Damian also delivers insight into architecture, workflow and regulation and helps feed this into our platform and development roadmap“. Damian Sutcliffe, Former Goldman Sachs Partner & EMEA CIO, commented: “I‘m excited to be joining ipushpull as an advisor. It‘s a terrific product that can quickly drive automation and efficiency across internal teams and external client workflows. It fills a void in tools currently available and has very broad applicability“.